Were you around in the Ice Age? I was and I’m here to talk about it. 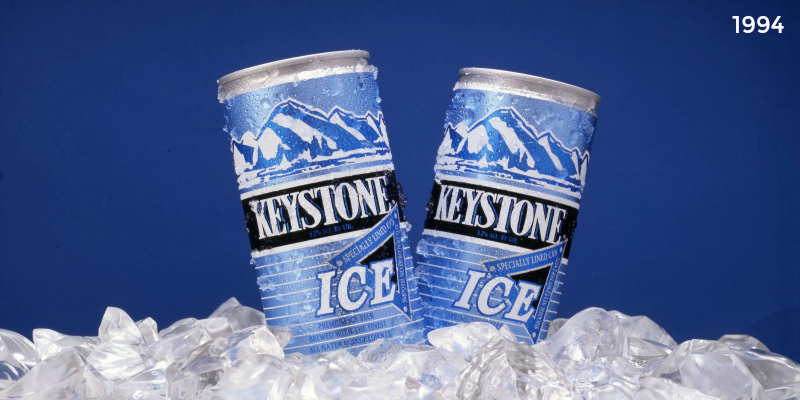 There was a time in my young life that Ice Beers were all the craze! When you’re young and your pallet is used to fast foods and cheap beer, Ice beers were easily consumed and oh yeah, they had like an extra percentage of alcohol in them. Not sure how exactly how much more alcohol they had, I know that it was something like 5.2% vs. 5.9% and it was enough to make a 16-year-old think he’d found a loophole in the stock market. While at that age I thought this beer was all about an increased percentage of alcohol, I learned later in life, way later in life, like right now, that there are German variations of iced beer called eisbock, or “ice strong beer”, that is upwards of 9-15% ABV. That’s more like it, they are on par with IPA brews and if I had known about that at 16 I might not be around. Apparently what happens is that after fermenting, the beer is cooled to a freezing temperature, allowing the water particles to freeze into ice. At this point they can easily remove some of the water content making the batch of brew even stronger. Ok, enough, back to my story. Growing up I had access to beer, my dad drank Coors, Rainier Beer, and Mickeys. Of those, I gravitated towards mickeys the most because I really liked the grenade bottles and I actually liked the beer. As brewing companies jumped on the ice bandwagon, there were plenty of other beers coming out in 40oz bottles that were iced brewed for our pleasure. I mostly drank Molson Ice and Mickeys Ice, but of course, there was Natty Ice, and even Bud came out with Bud Ice. I wonder the beer section in my local supermarket and convenience store and often wonder what the hell happened to the iced beer? Could it be that it wasn’t as good as we thought it might have been? Could it be that I no longer live in a neighborhood that sells it because of some assumed demographic? I don’t know? 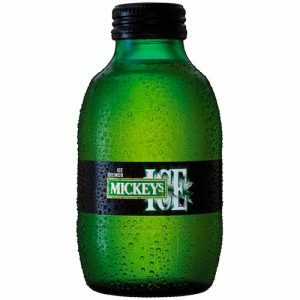 I would buy a 40 of Mickeys Ice if I saw it on the shelf next time I was at the gas station. I like trip’n, and take’n a trip down memory lane while intoxicated is always fun. The trip usually starts off with one foot in front of the other, then ends up with me on my back, and that’s why I call it stumbling down memory lane. Iced Beers are a thing of the past, sort of like my six pack and single chin. I’m not one to shy away from a good time, and the people I surround myself with tempt me daily. So I say to them, those few good friends that actually read my blog, find us some Iced Beers and let’s get this done for old times sake!